Review information and questions that will prepare you for your visit. Secure website though My Care Plus provides access to your healthcare information. Learn more about our clinical trials open for enrollment. Everything you need to know about Shenandoah Oncology. 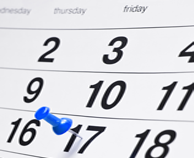 See the latest events going on at our practice. 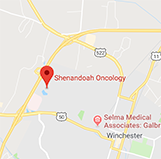 For over 30 years, Shenandoah Oncology has taken care of patients with cancer and blood disorders. Our physicians have over 100 years of combined experience in caring for patients. 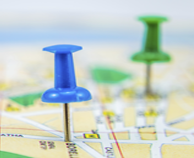 We are located in Winchester Virginia and see patients from a broad geographical area, including the Shenandoah Valley, Northern Virginia, West Virginia and Western Maryland. Our mission is to provide comprehensive and compassionate care to our patients. We specialize in medical oncology, hematology and radiation oncology. All of our physicians are highly trained in their respective specialties. We also have a group of dedicated and skilled advanced practice providers who have many years of clinical experience caring for patients and who play a crucial role in our patients’ care. Our nursing staff is unmatched in the care that they provide our patients. We offer state-of-the art therapies that allow our patients to get university-level care close to home. The treatments we offer include the latest chemotherapy agents, novel targeted therapies and state-of-the-art radiation therapy. 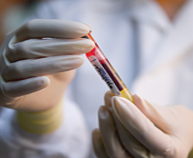 We use the latest in molecular and genomic testing to deliver personalized medicine. We also have an active clinical research program that offers our patients the opportunity to participate in cutting-edge clinical trials. 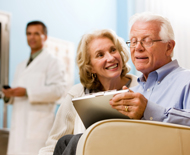 We also offer a broad range of complimentary services like advanced genetic testing/counseling and palliative care. We appreciate your interest in our practice, and we look forward to helping you through every step in your journey. We hope that you find our website helpful and informative. Practicing mindfulness can help patients and their loved ones overcome stress and worry. The disease is both physically and emotionally taxing. Now, a new study finds that more than 1 in 5 people diagnosed with cancer suffer from PTSD. Some even experience symptoms years later. Programs that help improve physical appearance during cancer treatment may do even more to lift patients’ spirits. An antibody–drug conjugate is being tested in patients with platinum-resistant ovarian cancer.